On September 5, a little after midnight, Death-Cast calls Mateo Torrez and Rufus Emeterio to give them some bad news: They’re going to die today. Mateo and Rufus are total strangers, but, for different reasons, they’re both looking to make a new friend on their End Day. The good news: There’s an app for that. It’s called the Last Friend, and through it, Rufus and Mateo are about to meet up for one last great adventure and to live a lifetime in a single day. After finishing this book, I just keep asking myself, why did I do that to myself. This is the third book I read by Adam Silvera this year and each one if just as devastating as the last one. But I do appreciate the fact that tells you in the title how devastating it will be. The main plot of the book is a 24 hour period after both Mateo and Rufus receive their calls from Death Cast to inform them that they will die in the next 24 hours. After getting their calls they of course are both real devastated, and try to make the best of their last days alive. Both Rufus and Mateo are both very different characters. Mateo is more reserved, while Rufus is more of a go getter. Adam Silvera does a good job at giving them both distinct personalities and it really shows in their POV chapters. By having them both meet each other through the Last Friend App, it sort of brings out the best in each other. They both seem as if they have nothing in common, you really get a sense of their friendship throughout the day. The supporting characters were also well developed. Lidia, a friend of Mateo who lost her boyfriend a year earlier and now has to raise a child alone. Also the Plutos, friends of Rufus who he meet in the foster. I like how Silvera puts in their own POV, just to a little more information about the characters, and it also puts into context who Mateo and Rufus are leaving behind. The concept behind the book is also very interesting. It kinda begs the question if you found out you only had 24 hours to live what would you do? It also ties heavily with the world around them. Deckers, those who get the death notice, get special deals and opportunities that they normally wouldn’t have. I also like the concept of the Last Friend App, for those who worry about dying alone, and they don’t have to. In comparing this book, with other Adam Silvera’s books; History is All you Left Me and More Happy Than Not, I think this one has a more optimistic outlook. While it is a very devastating book its not as emotional as his other two. It sort of has the common message of live life to the fullest and any day could be your last, but the story is framed differently. In the end, They Both Die at the End is another great book by Adam Silvera. He is basically 3/3 in great books. You will feel attached to both characters of Rufus and Mateo as they are really great characters. It also has a really good message. Speth Jime is anxious to deliver her Last Day speech and celebrate her transition into adulthood. The moment she turns fifteen, Speth must pay for every word she speaks (“Sorry” is a flat ten dollars and a legal admission of guilt), for every nod ($0.99/sec), for every scream ($0.99/sec) and even every gesture of affection. She’s been raised to know the consequences of falling into debt, and can’t begin to imagine the pain of having her eyes shocked for speaking words that she’s unable to afford. But when Speth’s friend Beecher commits suicide rather than work off his family’s crippling debt, she can’t express her shock and dismay without breaking her Last Day contract and sending her family into Collection. Backed into a corner, Speth finds a loophole: rather than read her speech – rather than say anything at all – she closes her mouth and vows never to speak again. Speth’s unexpected defiance of tradition sparks a media frenzy, inspiring others to follow in her footsteps, and threatens to destroy her, her family and the entire city around them. This was a book that I added on my TBR after hearing him speak about this book back in September at Boston Teen Author Festival. The way he describe the premise it was if it was an episode of Black Mirror, that really causes you to think about could this really happen. The book begins when Speth decides to protest the system that requires payment for every word spoken by simply not speaking at she does so by zipping her lips at her speech ceremony when she reaches of age. It is also noted that the only reason why she has the name, Speth was because it was a very cheap name that her family can afford. I also think that the world building was pretty well handled. The beginning of the book or basically the prologue gave us everything we needed to know about the world which was the copyright page for the book as well as the state of Vermaine, where the story takes place. This was also a very different dystopian novel because it adds a lot of social commentary about communication and speaking. Even the act of kissing could cost someone. I did feel some of the pacing in the book was a bit slow, it really didn’t pick up until the middle of the book, when you find out that Speth has sort of started a rebellion in which other people started to not speak as form of protests against the system. The main villain of the book is Silas Rog, who is one of the partners of the law firm that came up with taking every word and putting a patent on it. While he was a good villain, I do feel that he should have been a bit more fleshed out. Also communication is tracked through the cuffs people wear, and if someone can’t pay their fee they would be in a sort of debtors prison. It really handles the moral of “Words matter” really well. In the end, All Rights Reserved was a great book that I enjoyed reading. While it did have some pacing problems, especially in the beginning, it was made up for a great protagonist in Speth, and social commentary on communication. I am very excited to see where this series goes. Hype or Like Friday is a meme created by Jillian, Larkin, and Britt to discuss about hyped books and see if they’re hyped up or not. There would be book of the month that you can read, and the post your review for it on the end of the month, then rate it whether it’s a hype it or like it. November 3rd – We’re All Beautiful… What are some of your favorite diverse reads? One of my favorite books I have read this year. This is a very powerful book that I marathon through. It was inspired by the Black Lives Matter movement, and Angie Thomas gave us an amazing main character in Starr. This is an Asian fantasy retelling of the origin of the Evil Queen from Snow White, and this is another one of my marathon readings that took me a day to read. 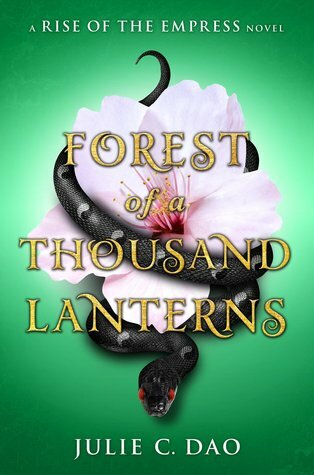 I am really beginning to love Asian inspired YA fantasy and the world is phenomenal. 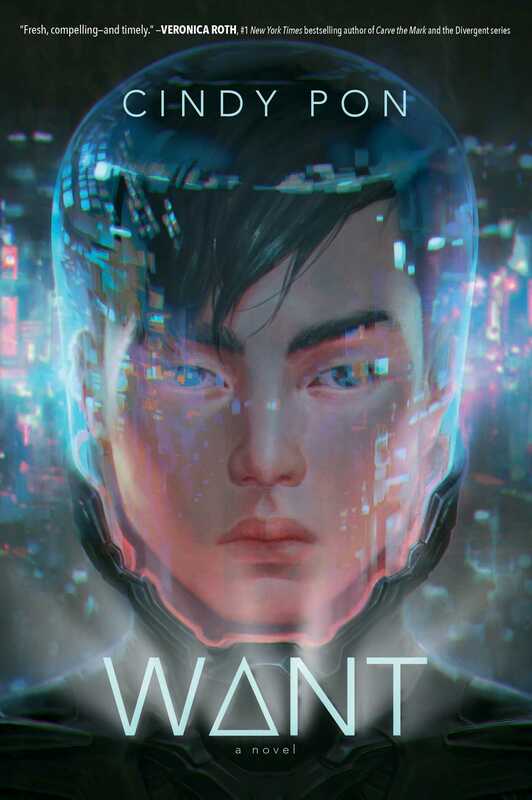 This is a Sci-Fi book set in futuristic Taiwan, and it is also one of my favorite books I read this year. This is the second book I read by Cindy Pon and she is already becoming one of my favorite authors. This is a very diverse book, mainly with the crew that has POC, LGBTQA, disabilities and size. All of these characters are amazing, and I know I talk about this book too much but I can’t help it, I love this series. Those are just a few of my favorite diverse book, I have a ton on my TBR. 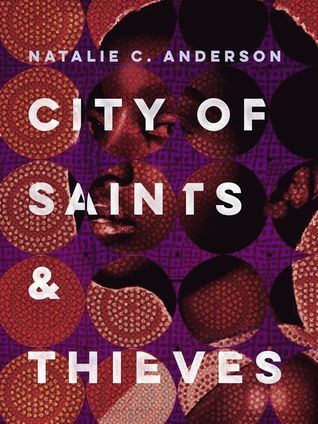 What are your favorite diverse books? Let me know in the comments below.